Is White House culture changing? Two White House officials, including one former official, say that there is "great concern" regarding the level of threats being made against U.S. officials who serve on the Trump Administration's National Security Council, CBS News' Margaret Brennan reports. A White House official told CBS News that it is "disheartening" to see the uptick in verbal and online attacks on members who come from security-focused backgrounds, not political ones. The unusual scrutiny has targeted individuals who are serving one to two year terms on loan from the Departments of Justice, Defense, State or other agencies. In past administrations, individuals in these positions often flew under the radar. There has been a noticeable uptick in threats for those who currently report to National Security Adviser General H.R. McMaster. 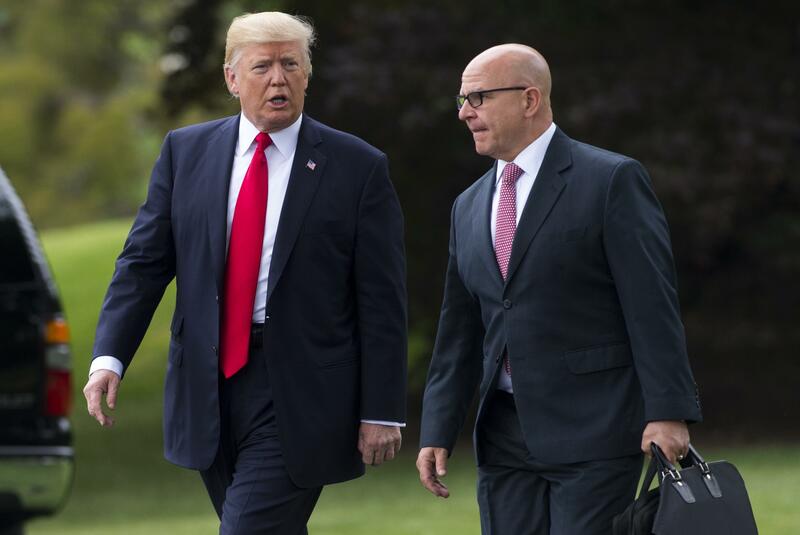 "McMaster is used to facing real bullets so verbal ones are not going to impact him," a White House official said in regard to a sustained online campaign against him. The official noted that a statement of support yesterday for McMaster from Sen. John McCain, R-Arizona, was very much appreciated. On Monday, McCain publicly called on President Trump to defend McMaster against similar virulent and personal attacks that originated from what he described as the same alt-right groups who precipitated the Charlottesville attack. A White House official told CBS News that it takes security seriously and said there are measures in place if individuals feel personally threatened. Is Steve Bannon's job in jeopardy? The pressure also may come from within the Trump administration. It is no secret that there is tension between McMaster and Mr. Trump's Chief Strategist Steve Bannon as the two often disagree on policy matters. Trump allies outside the administration, including the recently departed communications director Anthony Scaramucci, have made clear that they also suspect Bannon of leaking damaging information to news sites. Bannon once described Breitbart, the site he previously ran, as a platform for the "alt-right" movement. A third U.S. official told CBS News that the president's own public disparagement of the intelligence community had also made those working for the agencies think twice before being recruited to work directly in the Trump White House. A White House spokesman told CBS News that the NSC continues to attract the best and the brightest career professionals from across U.S. agencies. In July, Foreign Policy reported that online threats of violence and targeted attacks by right-wing blogger Mike Cernovich contributed to a recent departure of an assistant to McMaster.